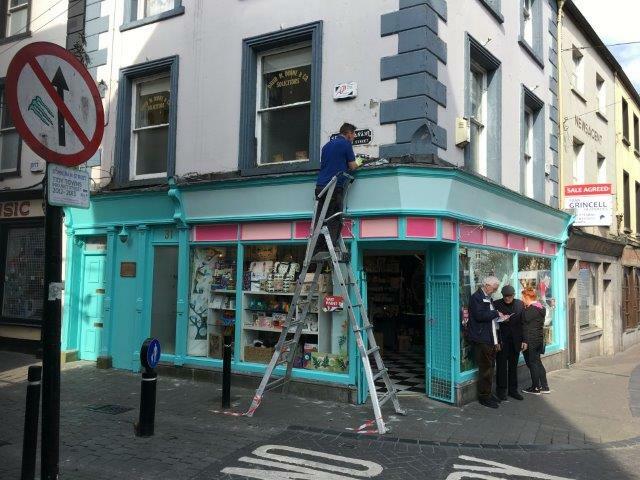 The 2018 Streetscape painting scheme has been launched, why not work to Keep Kilkenny Beautiful and get your building painted. Present Kilkenny city at its best. If you need help with your application please contact KKB at [email protected] or see also our contacts page. Alternatively link directly to the Kilkenny Co Co web page: click here! 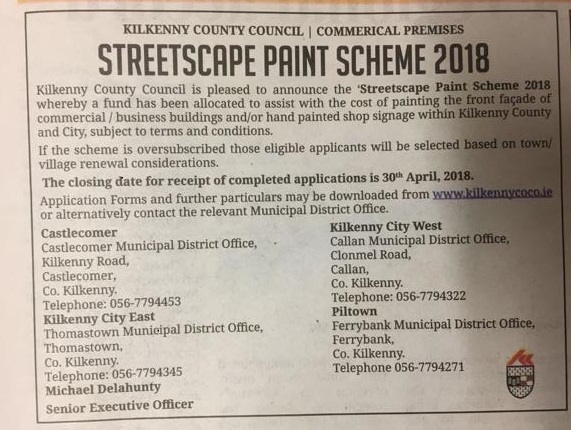 This entry was posted in Cityscape, Kilkenny City, News and tagged 2018, colour, paint, scheme, streetscape by KKB. Bookmark the permalink.